A former soldier turned movie star turned spy must stop a catastrophic nuclear weapons deal. This gripping thriller from Thomas Caplan propels readers around the globe-from Hollywood to Rome, the Black Sea to the Mediterranean-and to the very brink of nuclear abyss. The novel's charismatic hero, former covert operative Ty Hunter, has become, almost by accident, the number one film star in the world. When he is recruited on a clandestine mission to thwart the transfer of nuclear warheads into rogue hands, he must deploy every skill he has as an actor, soldier, and spy. Donning his fame as a disguise, Ty matches wits and muscle with the enigmatic billionaire Ian Santal and his nefarious protÃ©gÃ© Philip Frost-two supremely sophisticated adversaries- even as he falls in love with the entrancing young woman closest to them both, the jewelry designer Isabella Cavill. 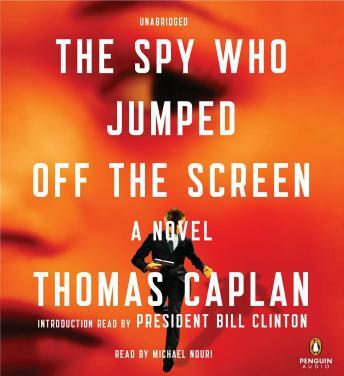 In prose that is both elegant and powerful, The Spy Who Jumped Off the Screen gives us a breakneck parable of good and evil-and a hero in the tradition of James Bond and Jason Bourne, who is sure to become an icon of the genre.